Credit to /u/pacading for this image. 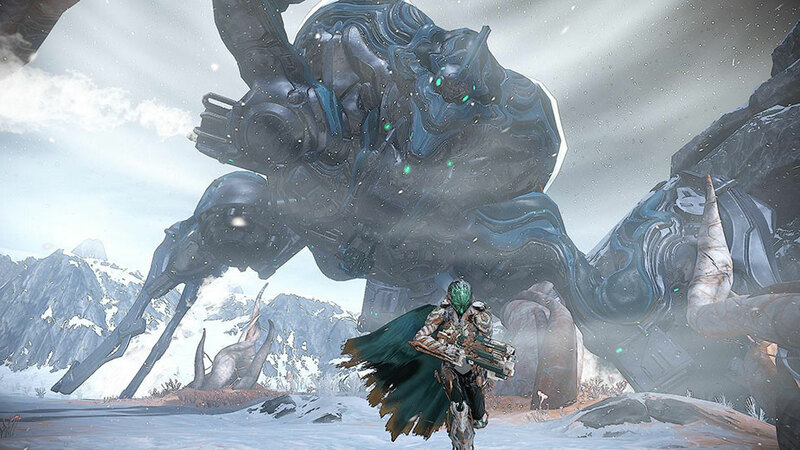 The Profit Taker is one of three Orb Mothers on the Orb Vallis and the first available for players to fight. 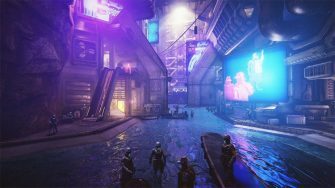 To start your journey, you’ll first have to reach the highest rank in the Solaris United Syndicate. Once you have the “Old Mate” rank, head over to the backroom in Fortuna where you’ll find Eudico, the Business and Little Duck gathered. Speak to Eudico to start doing Profit-Taker bounties. 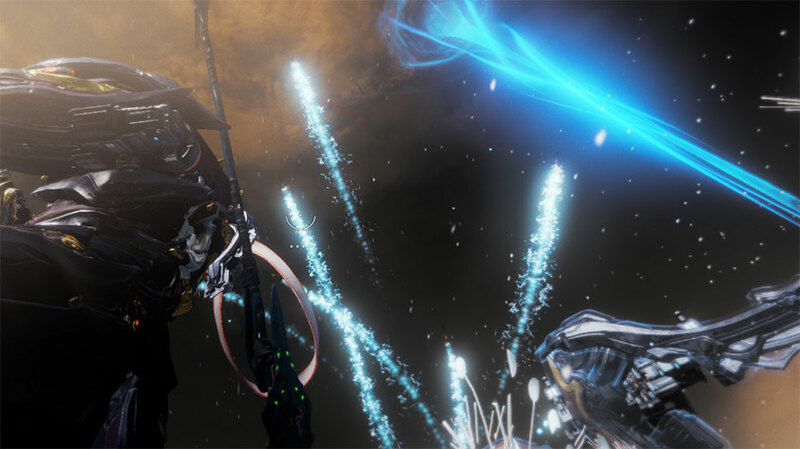 There are four phases in total, each with different tasks that lead up to the final fight against the Profit Taker Orb. This guide will only cover Phase 4, the Profit Taker fight. The first three Phases are fairly straightforward, although if you’re having troubles with Phase 3 then you might find the section about the Profit Taker’s shields useful. This guide is broken down into a few components. 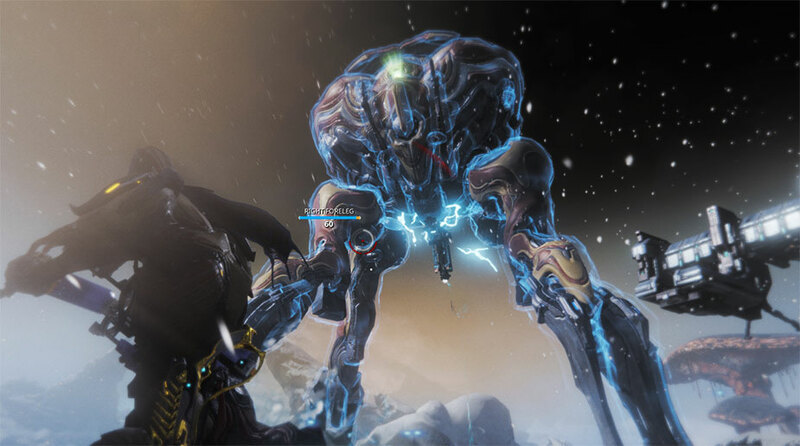 First, we’ll cover all the mechanics you need to be aware of for taking down the Profit Taker. Next, we’ll cover a few of the attacks the Profit Taker has so you know what to prepare for. 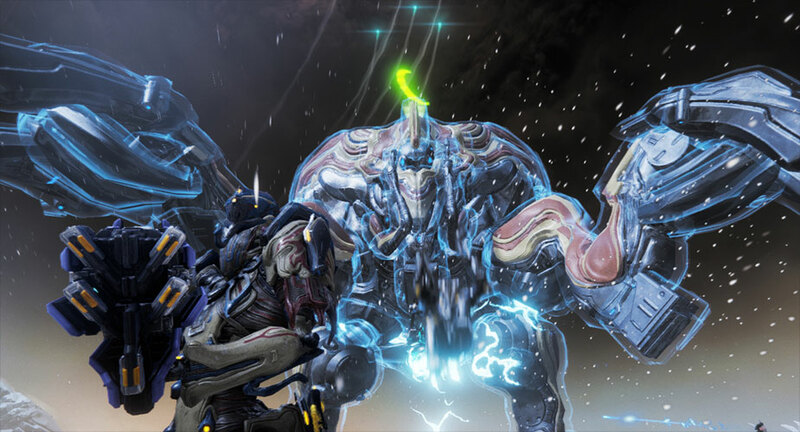 Last, we’ll cover our favorite Warframes and weapons for taking on the job. Before you start the Phase 4 Bounty, make sure you check your inbox. Ordis should send you a gear item called “Archgun Deployer” after you complete the Phase 3 Profit-Taker bounty. This item is required for taking down the Profit Taker. You’ll also need to install a Gravimag on an Archweapon so you can use it in “Atmospheric” mode (on the ground). A Gravimag is also awarded upon completion of the Phase 3 Bounty for the first time. If you’re not sure which Archweapon to use your first Gravimag on, we have a few recommendations later in this guide. 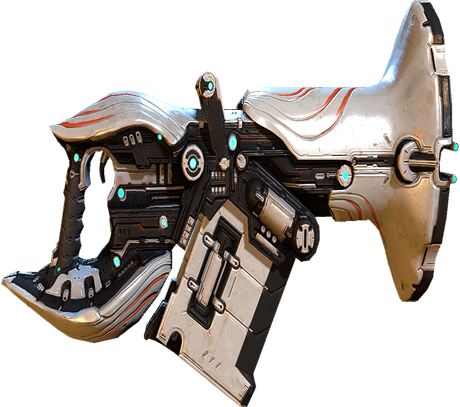 The Archgun Deployer has a cooldown between uses that can be irritating during your fight with the Profit Taker. The cooldown length depends on how much total ammo is remaining in the Archgun when you switch off of it. The maximum length for the cooldown is 5 minutes if you use all ammo. However, not using any ammo means you can instantly switch back to the Archgun at any point. We don’t know if the increase in cooldown is linear: All that matters is the less ammo you use, the lower your cooldown. However, ammo conservation can be difficult especially when learning. If you find your Archgun is on cooldown when you need to equip it, look for an enemy carrying a Fluctus. These enemies have a guaranteed chance of dropping a yellow ammo crate that immediately resets Archgun cooldowns and provides heavy ammo. Kill these Fluctus carrying enemies to reset Archgun cooldown. After taking on a Phase 4 Bounty and heading onto the Orb Vallis, you’ll be directed towards the Profit Taker. Rush there using your Archwing (Itzal is fastest). 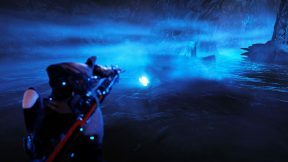 When you first reach the Profit Taker, you’ll notice it’s glowing blue. This blue aura is a shield which makes the Profit Taker completely invulnerable to all damage except one type. The current type of damage the Profit Taker is vulnerable to is displayed as a green symbol on top of its forehead. See the picture below for an example. Profit-Taker’s current weakness is displayed on top of head. Weakness in picture is Slash. Since the Profit Taker is only vulnerable to one type of damage at a time, it’s best to bring weapons with a wide variety of elemental and physical types. We’ll cover our recommendations for this later in the weapons section. In an organized squad, you can get away with less weapon damage variety as you can spread out damage types between players. The first two scenarios have a slight pause (~5 seconds) before the shield vulnerability can change again. 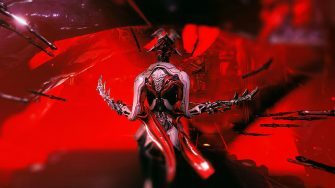 However, reducing the Profit Taker’s shields by 25% is an instant change, meaning an organized squad could theoretically burst down its entire shield in seconds. For now, just be aware that you can change the shield’s weakness by dealing Void damage to Profit Taker. You’ll be doing this frequently in Solos and Public matchmaking. It’s worth noting the shield weakness cycles through all 13 damage types, never repeating until all 13 are covered. The order of damage types is completely random between instances. That means the Profit Taker can start with any weakness and cycle through a completely random pattern each time you encounter her. However, within a single instance (bounty), the Profit Taker continually loops through the 13 damage types in the same order. That means you can know exactly what to expect after one loop. Don’t stress on remembering the pattern though as the value in doing so is minimal. After you take down the shields, the Profit Taker finally becomes vulnerable. However, your regular weapons won’t deal any damage. The only way to damage the Orb during this phase is with your Archweapon so use the “Archgun Deployer” gear item to bring out the big guns. Keep in mind that the animation for equipping an Archgun is fairly lengthy (about 3 – 5 seconds) so you’ll want to stay clear of enemies if you aren’t using a tank Warframe. Your first task is to destroy all four of the Profit Taker’s legs. We’ve found aiming at the large ball joint consistently deals more damage than other parts of the leg. Another odd caveat we’ve found is that if you are under the Orb, sometimes shooting at the ball joint doesn’t register as well. We still go under the Profit Taker frequently to reach all legs, but it’s worth keeping in mind if you notice a lot of your shots blanking (especially with the Fluctus). We like to aim at the ball joint for each leg as it seems to be the most consistent. Once all four legs are taken down, the Profit-Taker will drop and its body will become vulnerable. Aim at its torso and deal damage as quickly as you can to move onto the next phase. Note there is a brief period where the Profit Taker is completely invulnerable before you can damage the torso after taking down all four legs. This is an important detail for solos so you don’t waste any Archgun ammo. After dealing enough damage to the body, the Profit Taker will open up its head and shoot out 4 Shield Pylons. These pylons leave a trail behind them while traveling through the air so you can follow them easily to their landing destination. The pylons must be destroyed otherwise you won’t be able to deal damage to the Profit Taker. 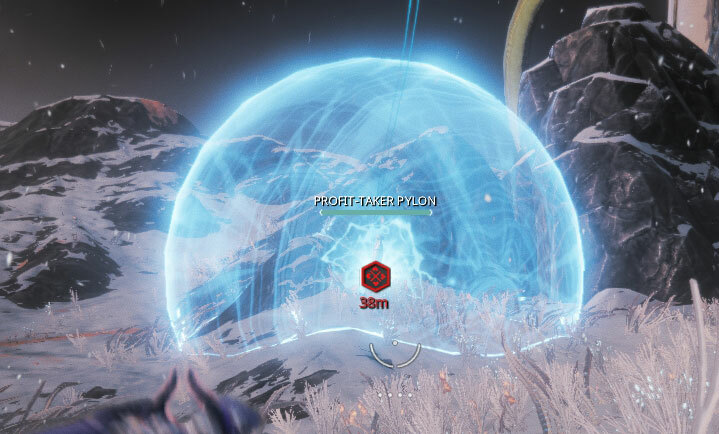 Shield Pylons erupt out of the Profit Taker’s carapace after you bring it down. 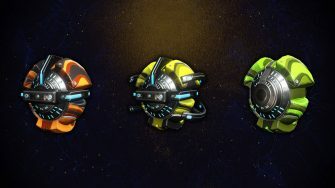 Each of the Shield Pylons are marked by an enemy icon once they land and are surrounded by a glowing orb of energy. This orb of energy is impenetrable by all but a few weapons (Fluctus is an exception), preventing you from destroying the Pylons from the outside. Use Void Dash and Parkour to get inside the protective orb of energy and destroy each pylon. Make sure you KEEP your Archgun out while destroying the Pylons. 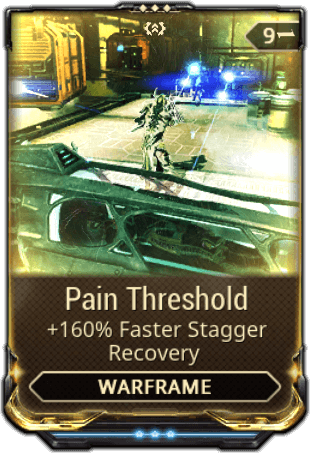 Immediately after all four Pylons are destroyed, the Profit Taker’s legs become vulnerable again and you’ll have to repeat the process from the last section. As mentioned before, your normal weapons won’t work on the Orb Mother’s legs or torso. That means you shouldn’t use your Archwing to travel between the pylons because using the Archwing Launcher forces you to put away your Archgun. The only exception to this is fast Solo kills. The energy surrounding the Pylon protects it from most outside attacks. Go inside to destroy it. Once the final pylon is destroyed in the second pylon phase, you’ll have 5 minutes to finish the fight or the bounty will fail. The fight gradually escalates in terms of the number of attacks from the Orb mother and from enemies on the ground. If you’re struggling with ground enemies, spend a moment to clear them out. 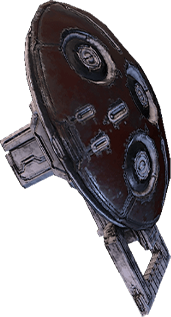 It’s worth noting the Corpus Trencher (a melee enemy) can stagger you when he attacks which can be frustrating and possibly lethal. Throughout the fight, the Profit Taker increasingly uses more attacks. These attacks can be both lethal and irritating so let’s briefly go over a few of them. We are only going to cover the most troublesome attacks that have caused us the most headache while taking on the Orb Mother. The wikia Profit Taker article contains a full list of all attacks if you are interested in learning more. Similar to how the Profit Taker launches pylons out of its carapace, she can also launch out homing missiles that follow you and deal decent chunks of damage. These are excellent for building Vex Armor for Chroma at the start of the fight, but otherwise can be quite annoying. As long as you keep moving, these will struggle to connect. If you have a tanky build, the damage from these matters less than the fact they tend to obscure your vision if they explode nearby. 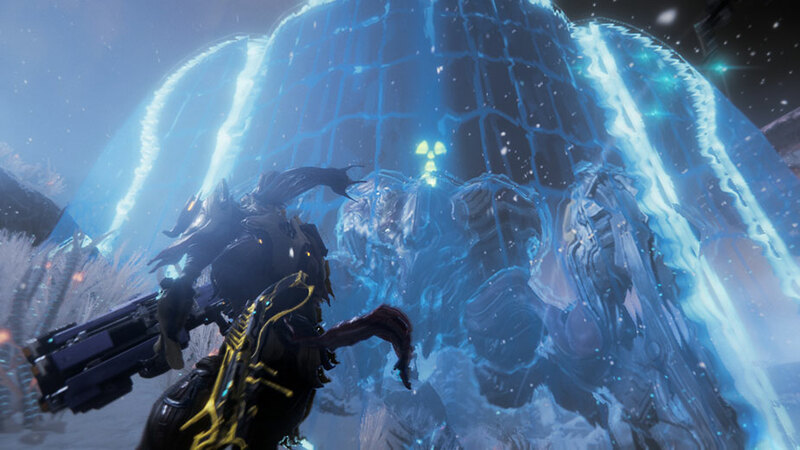 The Profit Taker will begin spawning these giant blue energy walls in a 50m radius around the Orb roughly 30 seconds into the fight. The walls stay still for a brief moment, then move in a straight path for a long distance (at least 200m). These walls can be aggravating for two reasons: They block your shots and cause knockback if touched at all. 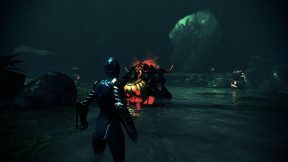 Fortunately they do not drag your Warframe along their path if you get caught by one, so don’t stress about that. The walls are spawned one at a time and are always “released” forward in the order that they were spawned. This means you can dodge them by staying in front of one that spawned later, then moving to where a previous wall was released. The walls also build gaps between them as they move further along their path meaning you can alternatively just sit between the walls from a short distance to avoid getting hit. The shield pylons can also spawn these walls around themselves during the pylon phase. 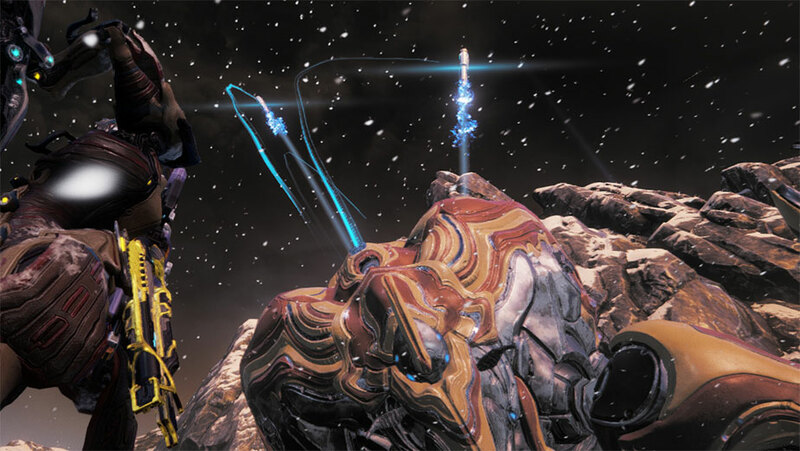 The Profit Taker can raise its body high into the air then do a huge body slam that sends out electromagnetic waves. These waves deal Magnetic damage and have a guaranteed chance of proc’ing Magnetic. Since Magnetic procs reduce energy by 250 and make it difficult to see anything, avoiding the attacks or bringing along Arcane Nullifier is ideal. In practice, we rarely try to avoid the electromagnetic waves as Squad Energy Restores can fix any energy problems, but play it safer if you don’t have access to these. 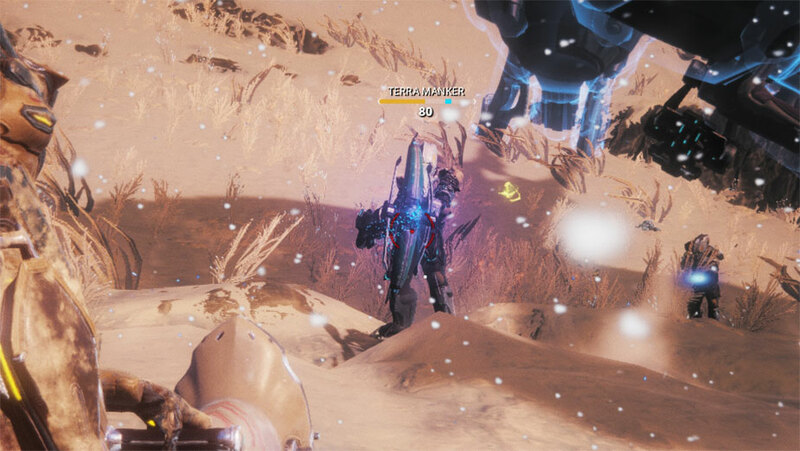 The Profit Taker tends to only use this attack if you go under her. This 3-Forma Corvas build is absurdly powerful and can one shot the Profit Taker’s legs and torso with Chroma’s Vex Armor buff. Both Radiation and Cold do additional damage against Alloy Armor which both the legs and torso have. 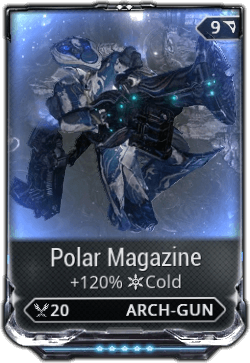 If you aren’t using Chroma, you must build for both Radiation and Cold to deal relevant damage. 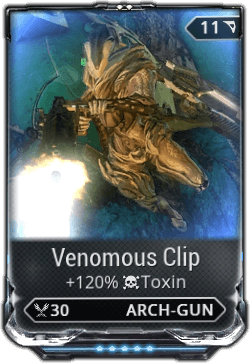 If you are using Chroma, you can afford to replace Polar Magazine with Venomous Clip and still one hit the legs. The build provided above is universal, meaning you can use it on any Archgun you bring to the fight. You do not need two Arcane Graces, or even one (especially if there is a Trinity). It just makes life easier. Chroma is the king of weapon DPS and he is at his best here. The build above is a 3-forma build that has more than enough strength to make Vex Armor powerful, but also has some tankiness to stay alive. Adaptation is a must in our opinion unless you know your squad is going to have a Trinity. 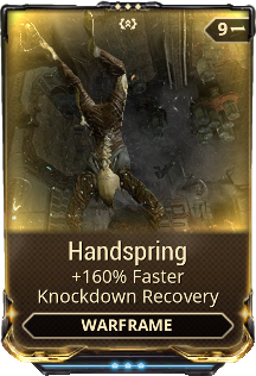 Handspring is also a must because the fight has many knockdown effects and being able to get back up quickly will increase your overall DPS. 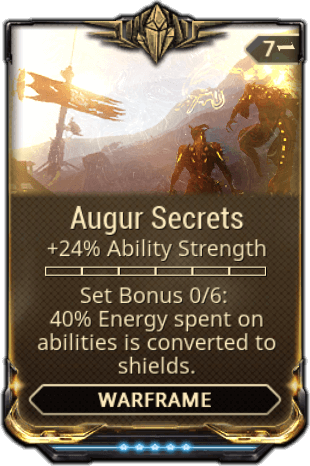 You can also consider replacing Augur Secrets with Pain Threshold as there are several sources of stagger during the fight. You do NOT need to bring a self damage weapon as the Orb does more than a good enough job doing that for you. Trinity may not be the best at dealing damage, but she is stellar at keeping both herself and teammates alive. We don’t think Trinity is a meta pick (4 Chroma is probably best), but if you or teammates are struggling to stay alive, Trinity is one of the best options. Activate Link (3rd ability) to keep yourself immune to all knockbacks and staggers. Use Blessing (4th ability) to fully restore health and shields of yourself and teammates, plus provide 75% damage reduction. Lastly, Energy Vampire easily keeps everyone’s energy pool high if necessary. The build above is 0 Forma and is more than sufficient (no Arcanes needed). Suboptimal 0 Forma build, but it more than does the trick. 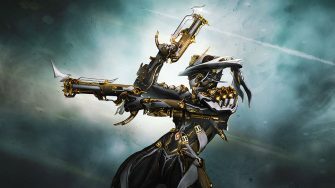 Inaros is a great Warframe for learning how to do the Profit Taker as he is nearly unkillable. If you have Arcane Grace, you’ll never have to use a single ability to stay alive. If you don’t have Arcane Grace, just charge Scarab Swarm and occasionally use it on an enemy to restore health. 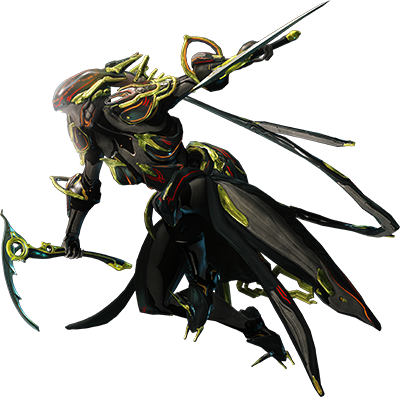 Inaros is probably the best Warframe if it’s your first time as you can spend more time learning the mechanics of the fight rather than trying to stay alive. Once you’ve learned the fight, it’s better to use Chroma or another Warframe that can deal more damage / help teammates. 2. Try to let the “standalone” basic element of your build use a Primed mod. 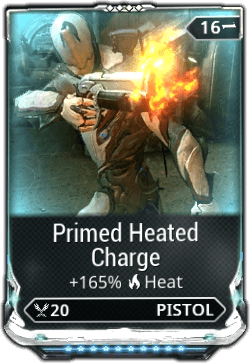 For example, Pistols have Primed Heated Charge so try and use Heat by itself on your pistol. This spreads out the damage on your weapon more evenly. 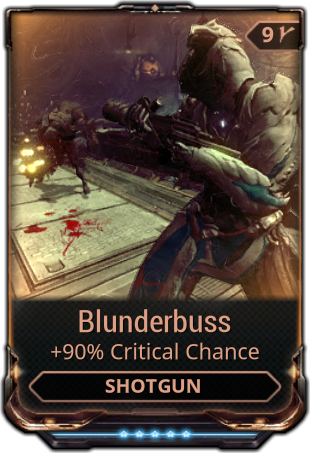 Can replace Primed Point Blank with Blunderbuss if using Chroma. Since the goal during the shield phase is pure burst DPS, the Tigris stands as one of the best weapons without a Riven. The build above is not fully optimized (damage calculations are complicated with Chroma), but it has a nice damage spread that allows you to take down Electricity, Viral and Slash shields in two hits. Optimization might allow for it to consistently one shot, but we haven’t done thorough testing with this yet. Either way, the Tigris is more than serviceable as a primary weapon. While we do encourage you to use your own favorite weapons, we highly recommend you try this Kitgun. It easily one hits the shields with Chroma’s Vex Armor buff and even without his buff, it deals absurd damage thanks to its innate punchthrough. Since you never have to use more than one or two shots at a time, Pax Charge of any rank ensures you never have to reload. We can hear you groaning already so let’s get this out of the way: You do not need to use melee at all for the Profit Taker fight. In fact, almost the only circumstance where we recommend trying to use melee is if you are solo and need the additional elements. 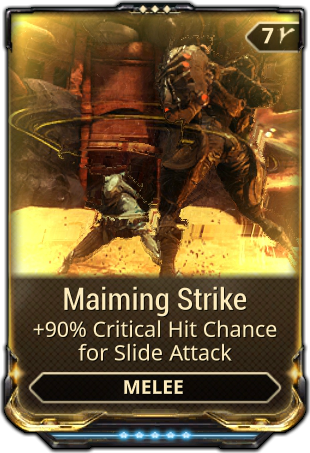 However, if you are going to bring melee, then unfortunately Maiming Strike is still the way to go. 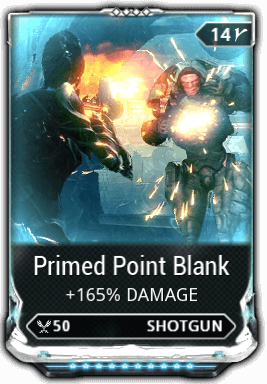 The build above is just an example (we were too lazy to forma for Primed Fever Strike ) and should only be used with Chroma since it doesn’t use Primed Pressure Point . Slide away friends! That was a lot of information to take in, but with practice you’ll get accustomed to these fights easily. 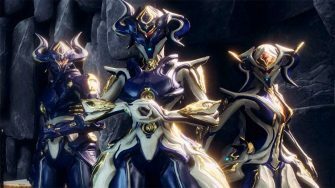 Our biggest recommendation is to bring Inaros or Trinity so you can learn the fight without having to worry about your own survival. Chroma can come later once you become more comfortable with the fight. If you have any advice for people taking on the fight for the first time, make sure you share them in the comments below. Thanks for reading! Why wouldn’t you run the scarab armor augment on Inaros so you don’t get knocked down ever? Best support frame is Limbo because he don’t have to take a hit and still revive downed enemies in the rift. Need to take out the alarms and shield pylons? Use your operator! Can practically relax and just keep up with the revives. Some things do still damage him in the rift… somehow, but still good for those who can’t make a good build (like me, unfortunately). I hate Octavia. Her 3 is the only power worth it and you gotta actually match rhythms to make the powers work. All gimmick. Mandachord could’ve been fun but they tied the mechanics to the beats of the music, so to play Octavia properly you have to play the worst “song”. I say this as a person who loves the idea of octavia but angrily plays my minmax song because I care about my teamates. What the hell are you talking about? Her one is infinite scaling damage and a taunt. Her two is a mobile taunt. Her three is several buffs that aren’t hard at all to land. 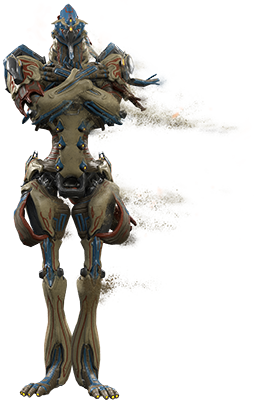 Her four is a enormous range damage buff that almost tops Chroma, tops Rhino, and ups the damage of her one. She’s by far one of the most versatile and powerful frames in the game by sheer damage and utility. For anyone just putting formas on their Corvas, that build is doable with just 2 formas. Swap Electrified Barrel with Paralax Scope (and rearrange polarities to keep elements the same). There’s a bug that causes this attack to instant-kill the user about 1 of 20 uses. 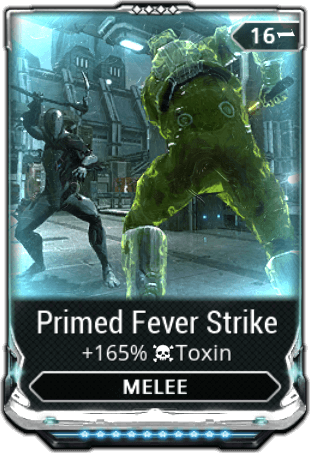 Personally, I have found that exodia contagion performs exceptionally well against profit taker if used with Chroma. 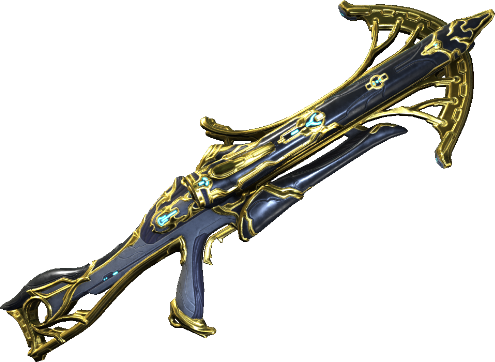 On a zaw built with the Mewan + Shtung + Vargeet II Ruhang and modded with two elements, it can effectively cover 6 of the 13 damage types. Also, I have never had it insta-kill me except for the times I accidentally threw it too close to profit taker or other enemies. It does self-damage ALWAYS… Twice! Once when it hits, and another once the “projectile” explodes… You probably were too close when either of those happened. Building status chance is worth something? I belive you cant proc status effects on the orb. If so, wouldnt be better to choose weapons with high crit chance instead of status (for example better a rubico than the tigris suggestion). I mean for taking down the shields. Orb is immune to status effects, correct. Tigris is only suggested due to its absurd burst DPS. Rubico is great for Profit Taker, just haven’t tried it personally because I like using the Catchmoon which has Impact, making the Rubico redundant. Although nowadays I think using a Plague Kripath with Exodia Contagion for IPS is probably better with a good Riven. Also, are Arcanes mandatory? I know you said you don’t NEEDarcane grace but if you don’t take arcane grace do you NEED any other arcanes? Arcanes aren’t mandatory, but they’ll help quite a bit. If you can’t afford much, try to at least get an Arcane Nullifier if you aren’t using a Warframe that can grant immunity from Status effects. If you’re learning, two Rank 3 Arcanes of any type can help as they each add an additional revive. 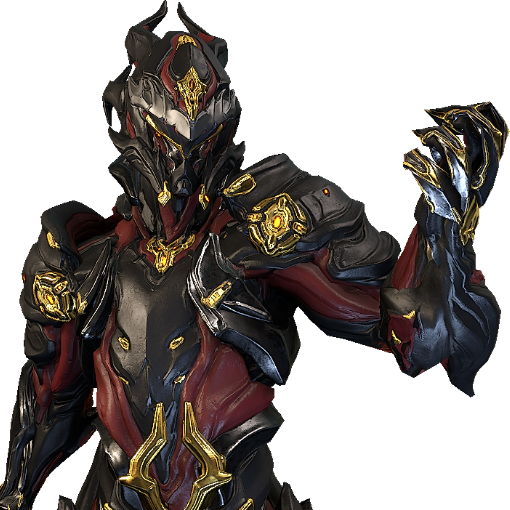 What energy color for Chroma? Doesn’t matter. Green (Toxin) if you want faster reload / holster speed which is actually quite relevant for this fight, red (Heat) / white (Cold) if you want extra survivability. This inaros build disgusts me, shoulda maxed fiber not intesify, should have steel charge, and shouldnt rank up adaptation. And with some extra forma you can have all mod slots filled. Not to mention having a 2nd arcane grace would be so much better than guardian. This comment and name cracked me up (no sarcasm). Don’t worry, you can’t die regardless of how you build him. I only put the Arcane Guardian on there so people didn’t think they NEEDED two Arcane Graces since we tried him with only one Arcane Grace and no Guardian and he still couldn’t die when we AFK’d with him for 10 minutes. As for the unmaxed Umbral Fiber, I just keep it that way since I don’t use many Warframes that could ever benefit from a fully ranked Umbral Fiber yet the unranked version lets me use it in more 0 Forma builds like this one. 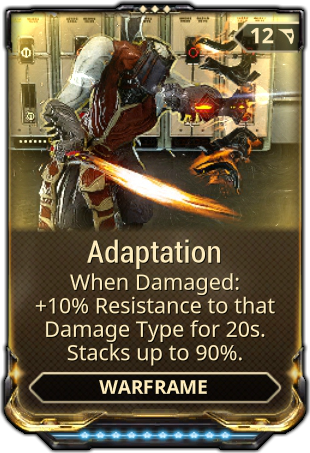 You don’t need to Forma Inaros to turn him into an unkillable tank (which is only reason he is suggested in this guide), so there’s no point in showing a Forma’d build. 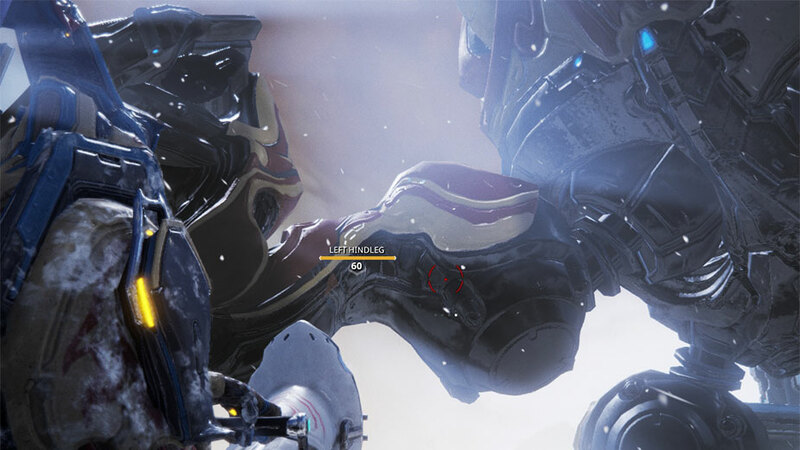 But yes, there are far more optimized builds for Inaros – the point is you don’t need one. The caption for the build even says it’s suboptimal. 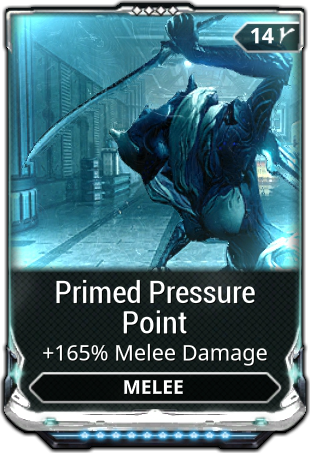 Wouldn’t filling all mod slots with forma limit the builds you may use. That’s why I almost never forma my stuff enough. 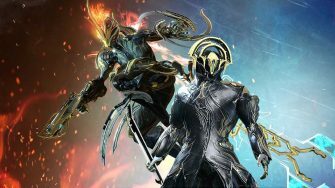 I can’t get 3 of every primed warframe. Costs too much platinum and they get vaulted. Oberon doesnt have enough EHP to stay alive. He does with a umbra build, I have 1337 HP and 540 armor, that with adaptation rank 1, arcane guardian rank 3 and a rank 2 arcane grace makes it so I never die, and I don’t suffer from magnetic status effects or falling to the ground. Redeemer Prime seems like a pretty good melee option. It can reach its shield damage cap in one or two bursts with Chroma.